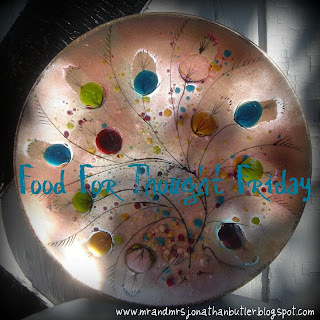 Butler, Party of 4: Food For Thought Friday: Are You Who You Want to Be?? Food For Thought Friday: Are You Who You Want to Be?? What do others see when they look at you? Better yet, what do you see when you look at yourself?? I think self reflection is super important. It helps you grow & become wiser. If you're real with yourself, what is your attitude, speech, dress, effort, giving, etc. saying about the kind of person you are?? Are you reflecting your true self, or just what you want others to think about you, or perhaps something completely inaccurate altogether? I am not saying we should base our value on what others think about us, but if most of the people around us see us a certain way, there is most likely some truth to that. This can be a higher or lower view of how we see ourself, but I think it's important to consider. One thing that sticks out to me is my super BUSY lifestlye. I am always on the go, rushing through life, checking off a giant daily to do list. That is definitely not the life I want to live; so I am really going to make it a priority to slow down....(after June!). :) Being a "busy bee" is NOT who I want to be. So...This is your life, are you who you want to be??? ps. I meant to tell you THANK YOU big time for all the birthday ideas! They are a huge help!